Nothing gets people singing and clapping along with quite as much joy as soul music – so if this sounds like the kind of gig you and your guests can get down to, book one of Bands for Hire's soul and Motown bands! You can't go wrong with a genre who can boast such legendary performers as James Brown, Ray Charles, Dusty Springfield and Aretha Franklin amongst its biggest names! Our soul bands for hire encompass the distinctive sounds of such iconic labels as Stax, Motown, Northern Soul and Atlantic, so look out for hits from the Four Tops, the Supremes, the Temptations and many other best selling artists from the sixties. 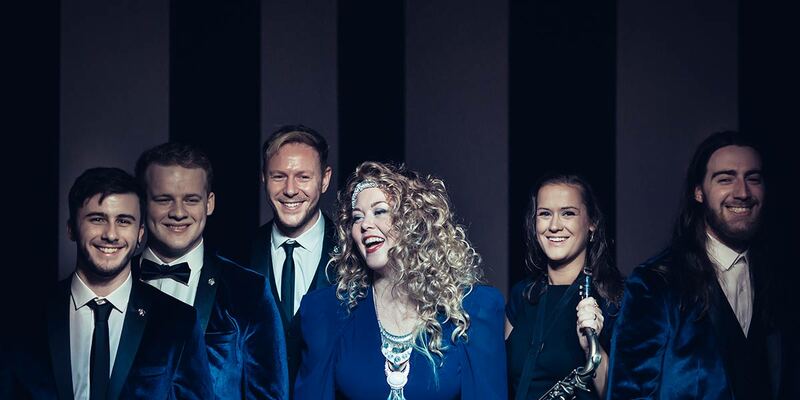 Our soul wedding bands endeavour to bring you the most legitimate soul experience available today, often by using vintage equipment and incorporating traditional soul arrangements – so if you're looking for a big band with backing singers, backing dancers and brass sections, you're in the right part of town! With soul music having its roots in gospel music, as well as jazz and rhythm and blues, a big part of our soul bands' performance is to include everyone and encourage them to join them in celebration – and with a stage full of smiling, singing and dancing, it's impossible to resist! We do have a few soul and Motown tribute bands who model themselves closely after some of the genre's most famous acts, just to make your experience all the more special. Fans of the Supremes, the Shangri-Las and the Ronettes will love our girl groups, complete with beehive hairdos and wiggle dresses. We also have some authentically dapper backing bands, who up the ante for even our most flamboyant frontmen and women as they sway from side to side in their sharp suits without breaking a sweat, let alone missing a beat. We're interested as much in versatility as we are in authenticity at Bands for Hire – and, as such, we're delighted to be able to offer you the musical services of soul and Motown bands who apply their signature sound to songs outside their given genre. Guests at your event who aren't as well versed in the soul tradition – be it a wedding reception, private function, charity event, corporate event, graduation, store opening or office party – will be swept away by the pure exuberance and energy of the performers, especially when our Motown bands for hire throw such soul-tinged curveballs as Kasabian, Hall & Oates, Drake and Fleetwood Mac songs your way! We are home to many fantastic soul bands here at Bands for Hire, and they come in many shapes and forms. We have some bands with as many as 9 or 10 members, but this wouldn't suit every venue, or every budget for that matter. Being the flexible and accommodating agency that we are, we feel that every party deserves the opportunity to have its spirits lifted by a bit of soul. Therefore, we also offer acts that are more along the lines of vocal trios who sing to backing tracks, as well as our equally accommodating soul bands offering different line ups (e.g. limiting themselves to one vocalist, or forgoing the brass section) depending on what your requirements are for your event. Read on for details, and feel free to send any queries our way.